There currently are no factory promotions going on at this time. Now you can have it all… and more. Introducing the newest collection from Dream Maker Spas, the all-inclusive Suite Spa Collection. This revolutionary spa is designed to be the ultimate entertainment hub, bringing the best of a vacation right to your back yard. Built with all-inclusive enjoyment in mind, your Cabana Suite comes with integrated features never before offered as a complete spa package: from a built-in cooler and fold-up table, to an integrated umbrella and cover lifter, built in storage steps plus planers and a handrail, and so much more. 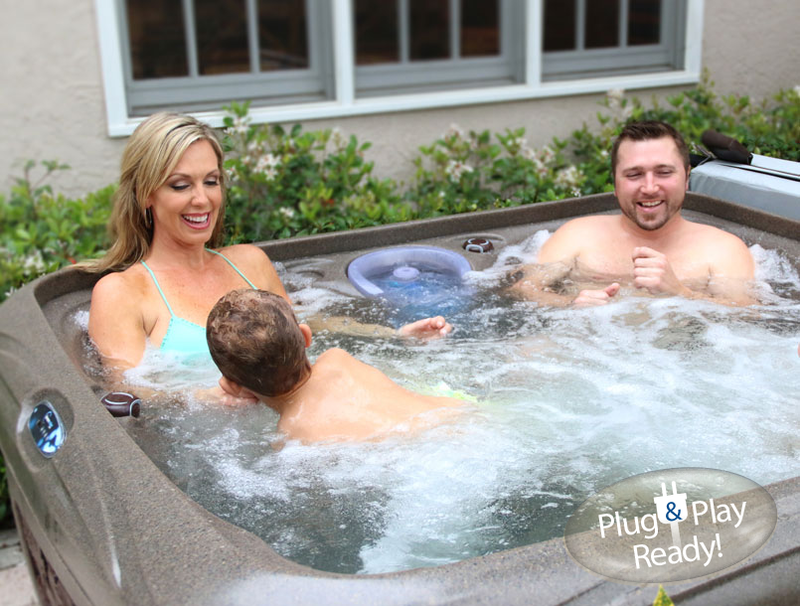 The new Crossover 730L & Crossover 730S are the next generation of affordable luxury spas. Recline in the deep contours of our plug & play Crossover spa as you enjoy a full-body massage from our model’s adjustable jets that target your shoulders, back, and feet. Enjoy the comfort pillow headrests to enhance your relaxation experience as you sit back and unwind to the soft-lit MoonGlo Waterfall with a color changing Back-lit LED Light. Enjoy a relaxing oasis in your own backyard with the Stonehenge Collection, our most popular spa line for families. 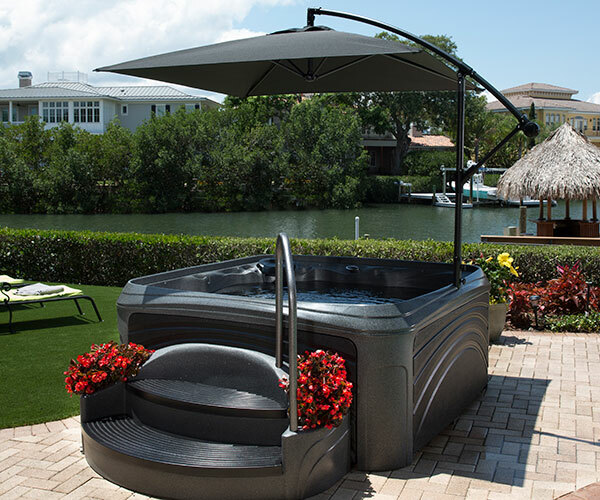 With a unibody construction, this energy efficient spa is built with lasting durability in mind. Easy to install, lightweight Stonehenge Collection spas are Plug & Play ready, so you can set up your new spa without the need to hire an electrician. Use our online dealer locator to find the certified dealer nearest to you. No dealer location in your area? Browse our Spa Showroom to find the perfect spa to match your lifestyle.